(click to view enlarged image). contracted for, and 2) alert their PTAC immediately. 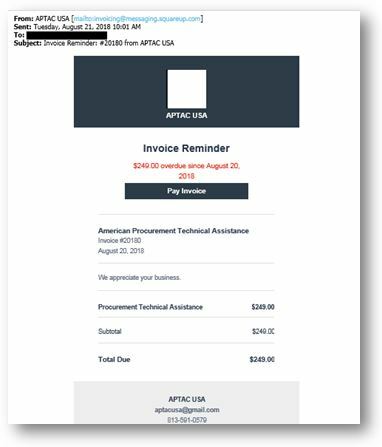 See the GA Tech PTAC’s blog post “Warning: Don’t be duped into paying for GTPAC’s services —Our services are free of charge! similar messages. APTAC leadership has already taken steps to bring this matter to the attention of appropriate authorities.